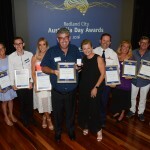 Posted in Awards, Business, Cleveland, Community, Council, Tourism and tagged alexandra hills, awards, business, Cleveland, community, Mt Cotton, North Stradbroke Island, tourism. Posted in Awards, Community, Council, Events and tagged Cleveland, community. Posted in Community, Environment, Parks and tagged community, Conservation, environment, Mt Cotton, recreation, sport, sport facilities, sporting fields. Posted in Community, Council, Planning, Roads and transport and tagged community. Posted in Community, Environment and tagged community, environment. Posted in Community, Parks and tagged community, parks. 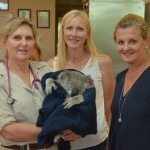 Posted in Community, Environment and tagged community, environment, koala. Posted in Community, Grants and sponsorship and tagged community, grants. Posted in Awards, Community, Events and tagged Australia Day Awards, awards, community. Posted in Community and tagged community, Mayor, volunteers.